Hi friends! I have a fun little gift for you today. My daughter Courtney hand drew a wonderful quote you might have seen us post here on The Inspired Room and in the book! We now have it available as a free download! You may print it out and frame it for yourself or a friend, or post it on your inspiration board! I’m also sharing a post on gratitude over at Ann Voskamp’s website today! You can find my post on her site here. CHOOSE A SIZE BELOW TO DOWNLOAD AND PRINT OR SAVE! Find The Inspired Room book on Amazon! How thoughtful of Courtney. 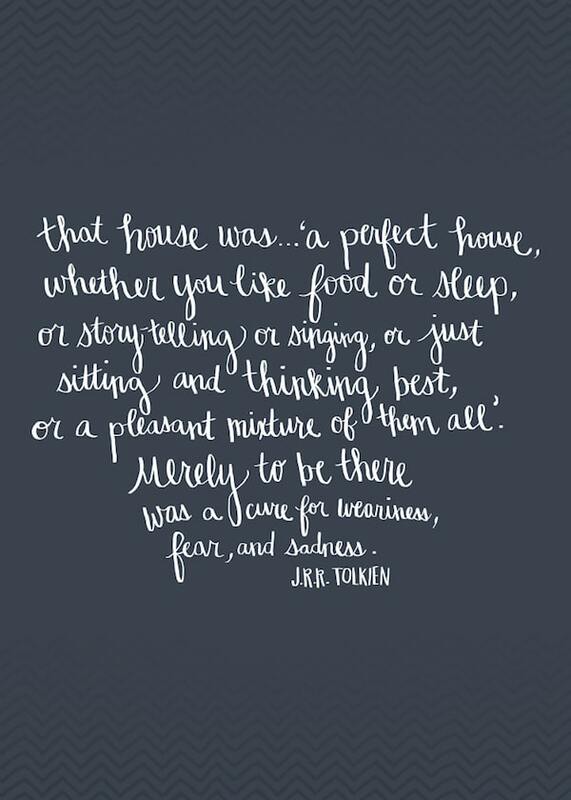 While my home might not be perfect it s our home filled with many memories both good ones and sad. It is almost empty now so we are in the midst of recreating the space we have.All the best to you Melissa on your new book, I really hope that it does well. Melissa, Ive followed you for a while but just a few weeks ago discovered Ann Voskamps blog…just ordered her Advent devotional book..of course I already have your book! 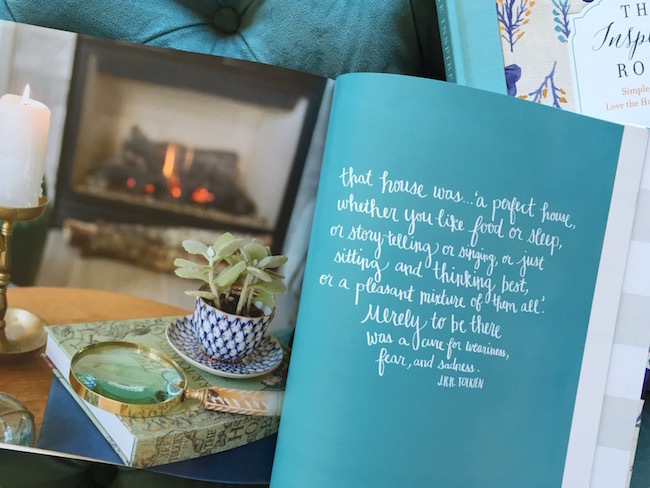 Love all your beautiful ideas and your first book really inspired me to love my home…which is a rental, long story but you’ve really helped. Thanks so much!? How did you know? I saw that quote earlier this week and loved it and then spent time Googling images of it, because I’m not nearly clever enough to do that stuff myself. I didn’t find anything I liked! Now I have! Thanks! Thank you, thank you, thank you! I have been reading your wonderful book and I saw this quote this morning. I read it to my husband and told him I would love to display it in our home. I tried to find it on line but I had no luck. Here you give it to us! Thank you again! God bless you! oh thank you thank you thank you! I fell in love with the quote the first time I opened your book. Thank you so much for sharing the printable art! I can’t wait to download and frame it for my home. My book has arrived and has already provided me so many hours of inspiration and new ideas. Many many thanks for sharing your journey with us. 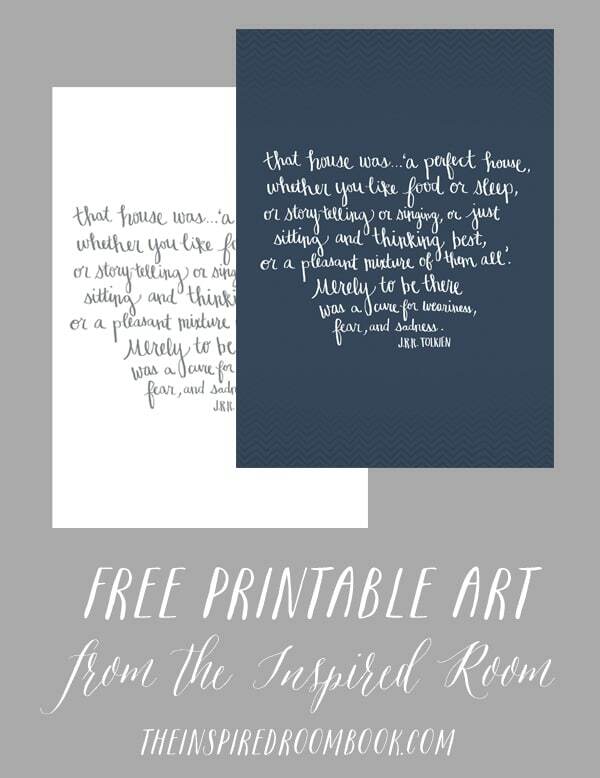 These free printable quotes are just superb. Thank you so much for sharing. It can amazingly add four stars to any house’s interior. 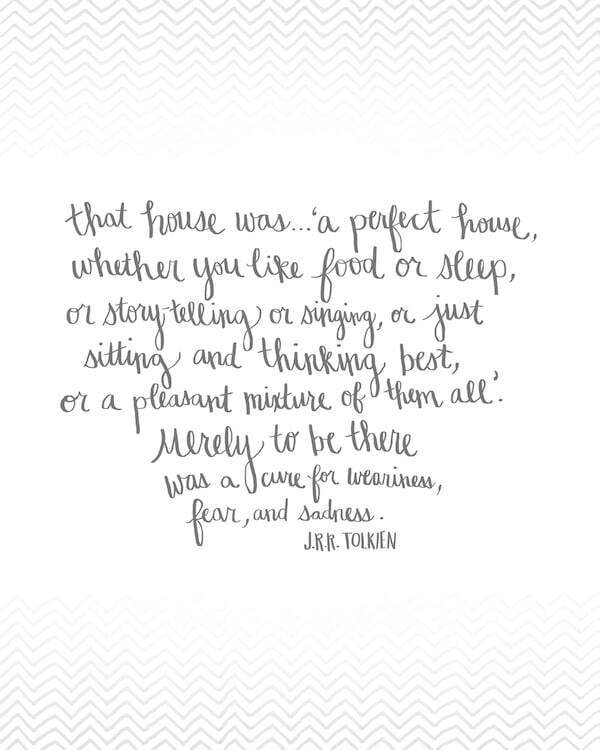 I’ll definitely use it at my <3 home sweet home <3. Sadly I can’t print anything. Maybe I can get a friend to print thus for me – it needs to be hung in my house!! Thank you for it! ? The mirrors and rustic boxes look great. 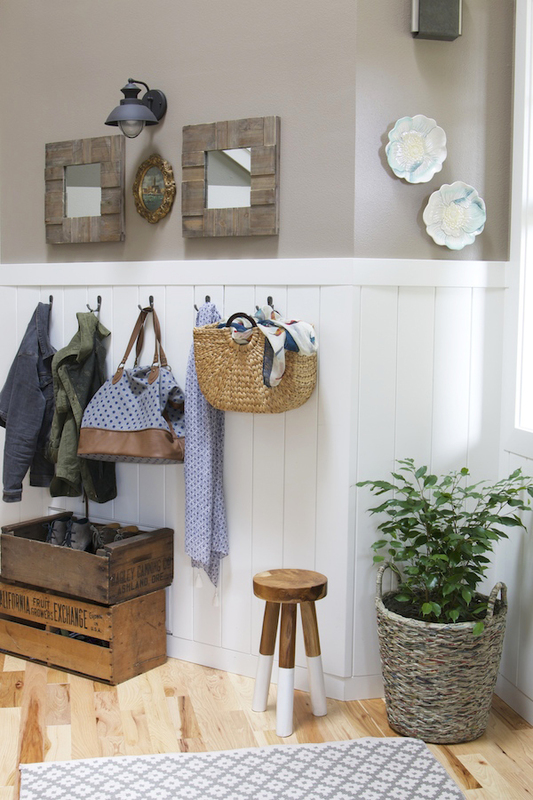 I love this entryway! I can see how this could inspire the free prints with the Tolkien quote. White wall, wooden floors, vintage furniture superb combination. You never fails to amaze me! Have both of your beautiful books, and am so inspired by them. Giving several as gifts this Christmas, and the printable will be perfect to give along with them.